Mission Statement: Our GOAL is to reward students who exceed in the classroom and recognize their achievements. We aspire to motivate students through our incentive program by offering them exclusive Tropics experiences both in and out of the classroom. We want to help students and teachers strive for academic excellence and reward them for their efforts. We strive to have full participation from all schools in Polk County to give every student the opportunity to participate. Lower School: Accelerated Reading Program – All students who complete the assigned amount of reading time by their teacher will receive 2 ticket vouchers good to any game during the regular season. Teachers: Will receive 4 tickets to a game of their choice, GOAL program t-shirt, promo items for class. 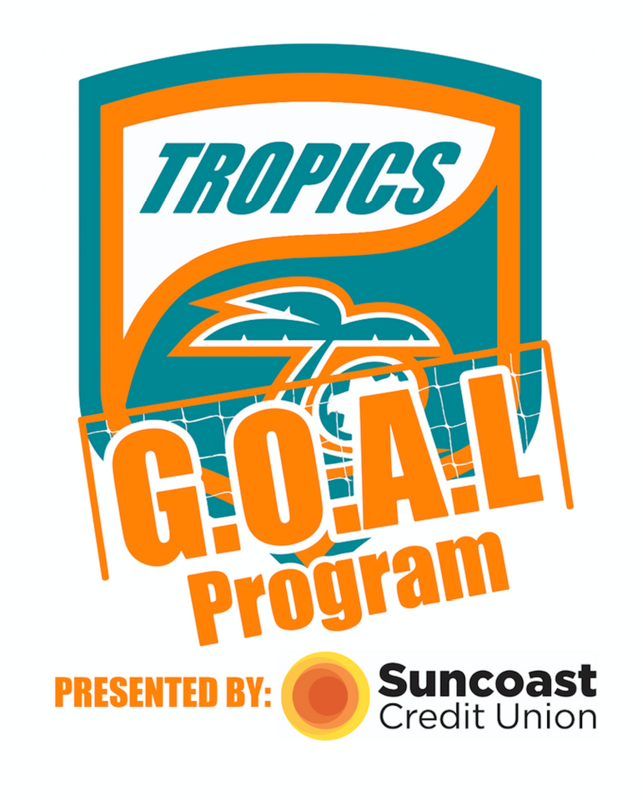 For more information give us a call at 863-240-0101 or email Hunter@TropicsSoccer.com.